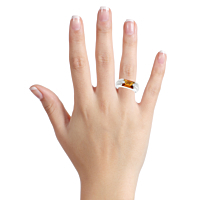 This Audemars Piguet ring features a beautiful citrine gemstone set in 18k white gold. 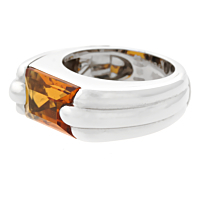 Modern yet classic, this ring makes a bold statement. Its unique shape guarantees that this piece will be the center of attention.